Long track record in the real estate market has positioned it as a leader in this sector. The projects acquired by the company enhanced its experience in the market in providing turnkey projects. Dolmen Development through its subsidiaries is able to plan, develop and execute projects in Lebanon, GCC, Iraq, Copenhagen and Mozambique. The strength of the work is mainly highlighted by providing all the supply chain of projects through its subsidiaries. The company that started in 1996 as a contracting company has evolved to cover all aspects of real estate projects. 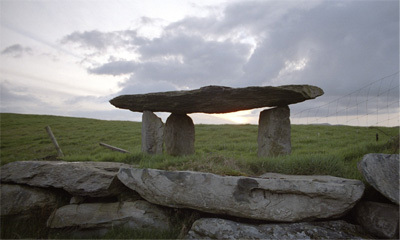 The name of the company has been derived from the portal tomb, portal grave, or quoit, which is a type of single-chamber megalithic tomb, usually consisting of three or more up right stones supporting a large flat horizontal capstone (table), although there are also more complex variants. Most date from the early Neolithic period (4000 to 3000 BC). Dolmens were usually covered with earth or smaller stones to form a barrow, though in many cases that covering has weathered away, leaving only the stone “skeleton” of the burial mound intact. It remains unclear when, why, and by whom the earliest dolmens were made. The oldest known dolmens are in Near East, where they were set in place around 7000 years ago. Archaeologists still do not know who erected these dolmens, which makes it difficult to know why they did it. They are generally all regarded as tombs or burial chambers, despite the absence of clear evidence for this. Human remains, sometimes accompanied by artifacts, have been found in or close to them, which could be scientifically dated, but it has been impossible to prove that these archaeological remains date from the time when the stones were originally set in place. Copyright © 2014 Dolmen Development. All rights reserved.